The Minnesota Zoo’s summer camps are entertaining, educational, and unforgettable! Participants enjoy and engage in activities and learning about the diversity of life in their specific theme-based camp. Many camps will have the opportunity to attend the Wings Financial World of Birds Show, visit Llama Trek, view live animals up close, and explore the Minnesota Zoo’s award-winning exhibits! As you look over the Zoo Camp information, please remember to register your child for the grade they will be entering in the Fall of 2019. All camps are child-only with the exception of Toddler Time and the Adult Camps. Please scroll down to see the registration links. Friendly Tip! Registration will work best on a computer; some functionality may not appear on mobile devices. Current members must use their existing web login email to receive the membership discount. Please log in before adding anything to your cart. Registration only takes place online and full payment is due immediately. In order to receive the member rate, your Zoo membership must be current (not lapsed) before you register. Registration requires signing legal waivers for each camper. Members may only register and sign for campers covered by their membership. For those registering on February 5, an online waiting room will be available starting at 9:45 am. If you sign on before 10 am, once registration opens at 10 am, your spot in line will be randomly generated. If you sign on after 10 am, registration will be on a first-come first-served basis. Due to the high volume of users please expect to experience a long wait in our waiting room. While registering online, if you encounter an urgent problem, please email [email protected] or call 952.431.9200 and we can try to talk you through the process, but we are unable to take registrations over the phone. Calls are returned in the order received so please do leave a message. Many camps sell out quickly. Please be prepared with a couple of camp or date options. A waitlist may be available for camps that are full. If a spot becomes available, the scheduler will contact the first person on the list and continue until the spot is filled. Confirmation Information – Includes information about where to meet and what to bring. 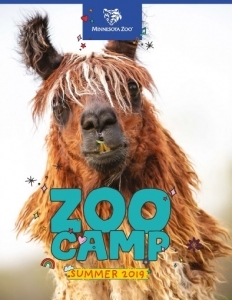 For more camp information and descriptions, click on the “camp descriptions” links below or take a look at our 2019 Zoo Camp catalog. Once you are ready to register, then click on the registration buttons below. 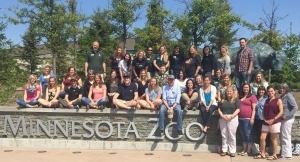 Click on the link to see photos and bios for some of our Summer Zoo Camp staff. We look forward to seeing you at camp!